Blog - Page 2 of 5 - Details etc. I get it. It’s hard to let go of your stuff. Most of us have too much……of well……everything. Sadly, it has become the American way to over-consume and have the latest and greatest. Whether it’s the next level i-phone, or the it handbag, we are all guilty of succumbing to the pressure. So, what to do with those shoes you only wore once that pinch your toes, or the dress with the tags still on it….. as you scratch your head wondering why you even bought it??? Or maybe you’ve got a box full of electronics that still work, but have been replaced by the latest version. Donating is great, but sometimes it makes more sense to sell your stuff. I’ve good news for you. 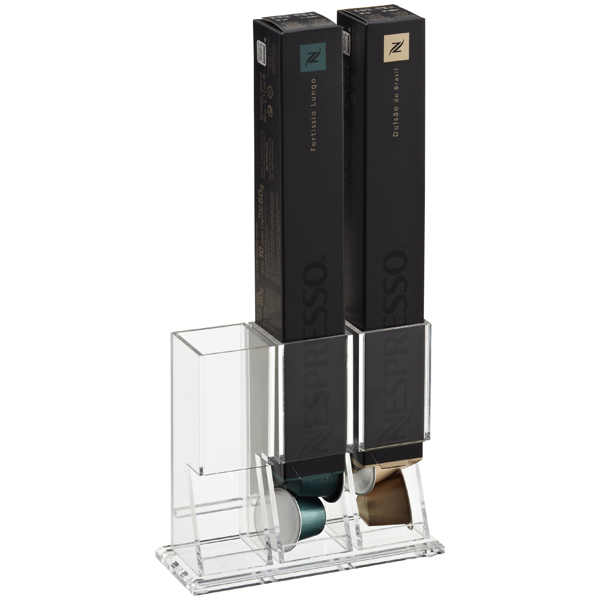 There are tons of online options to sell these items quickly and easily. You’ll not only make money, but you’ll have purged the overflow and be on your way to organizing those closets and drawers! If you have a smartphone or camera and basic computer skills it’s soooo easy to get started today. You are probably familiar with ebay, where you can buy and sell practically anything. I started selling on ebay about three years ago and have been very successful. At first I was a bit intimidated, but quickly learned it’s easy peasy. Once you establish a login, Ebay provides an easy to use template that guides you through the process. You simply take a bunch of good photos (different angles), upload them, and complete the template for the item you are selling. I always look to see what similar items sold for to gauge my auction price point. I’ve sold clothing, shoes, handbags, and jewelry. I typically don’t offer free shipping and do a mix of auction style sales versus “buy-it-now” sales, which feature a set price.You do need to have a paypal account in order to get paid. 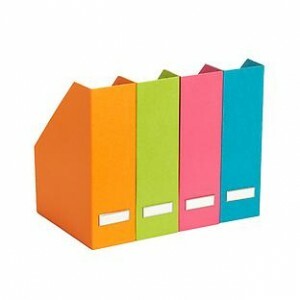 The fees are pretty reasonable; 10% for all items sold, and up to 20 free insertions per month. Paypal also takes a very nominal fee, I think it’s less than 2%. Once your item sells and you’ve been paid, you simply print a shipping label created by Ebay, pack up your item and send it to the buyer. If you’d like more help with using Ebay please reach out to me. I list items for clients as well as myself. A newer site to sell clothing and accessories is tradesy.com. At tradesy.com you choose items in good condition, from Zara to Chanel. You take a few photos that they will enhance once you’ve uploaded to the site. They’ll propose a price or you can choose your own. Once your items sells they will send you a free shipping kit. At poshmark.com you can create your own closet of items to sell, and/or shop other people’s closets, much like tradesy.com. You upload a photo of your item, filter it with one our their unique filters, add a description and you’re done. For sales under $15, Poshmark takes a flat $2.95 fee. For sales over $15, you get 80%, they get 20%. Shipping is a flat $4.95 for all orders. If you’ve got high end designer goods, check out therealreal.com. The RealReal is a luxury consignment site. They offer the largest selection of pre-owned and authenticated luxury items, including men’s and women’s fashion, jewelry, watches and fine art. Consignors earn 60-70% of the sale price and most items sell within three days of listing. 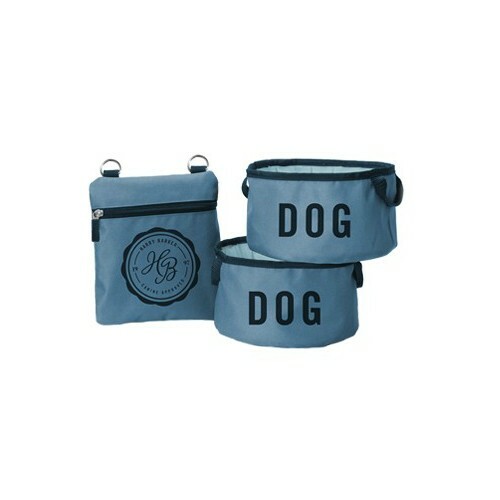 They offer white glove pick-up in many cities or free shipping via FedEx. Got cds’s, dvd’s and games lying around the house? Check out decluttr.com. You add the barcodes of your items into their valuation engine, pack them up and ship to them for free. They will send you a check or direct deposit into your checking account. I sold my iPhone 4 on gazelle.com, and while I didn’t get much because it was an iPhone “4”, this is a great place to sell smartphones and other electronics. You provide information about your device and they will instantly give you a price. If you like it, they provide a shipping label, you box up your item and boom, they send you a check. So don’t be intimidated by selling online. It really is easy and can be fun. It never ceases to amaze me the sheer breadth of good how-to information on the web. From clever new products that truly do add value to your life, to how to do something easier, quicker or better. Since so many of these gems are organizing related, I thought I’d share them with you today. Sometimes you just don’t want to carry a purse of any kind but still need a place for your stuff. 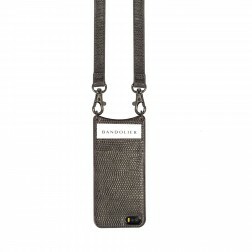 High tech meets high fashion with the Bandolier, a stylish cross-body case for your iPhone, cards and cash. I’ve been doing laundry since I was a kid, but I still struggle with folding a bottom sheet………until I saw this video. If you want printed instructions, Domino magazine offers up these. Summer is here and berries are in season. Keeping them fresh and mold-free can sometimes be a challenge. One of my favorite food bloggers, Sheri Silver, of Donuts, Dresses and Dirt has come to the rescue with her “berry hacks” — sure-fire tips to keep your berries mold-free. 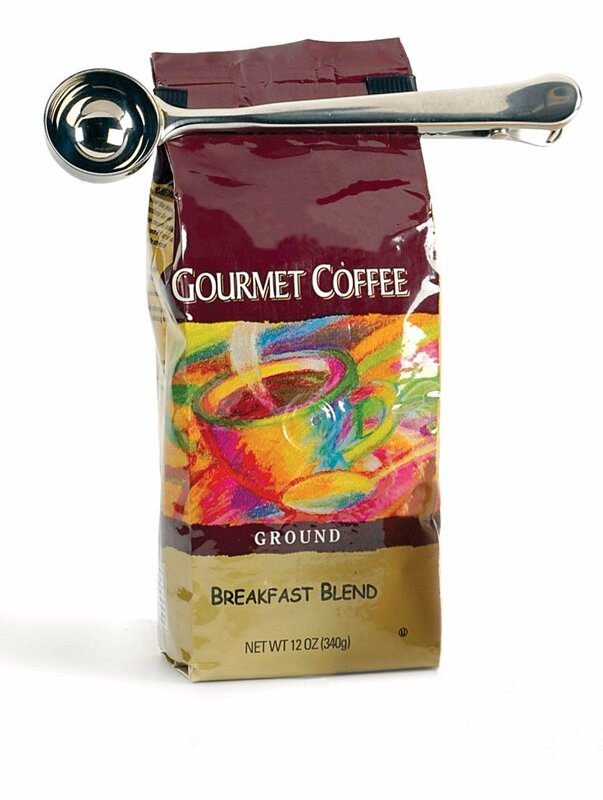 I can’t believe I just came across this clever little product, a coffee scoop and clip in one! Amazon Prime, here I come! If you’re not in the habit of washing new clothes before you wear them you will now. Sometimes your neighbor isn’t home when you realize you don’t have that one key ingredient in a recipe. Apparently you can substitute some recipe items with emergency ingredient solutions. I just LOVE summer and outdoor entertaining. But I don’t love the pesky bugs that seem to find their way to the food the minute it reaches the table. 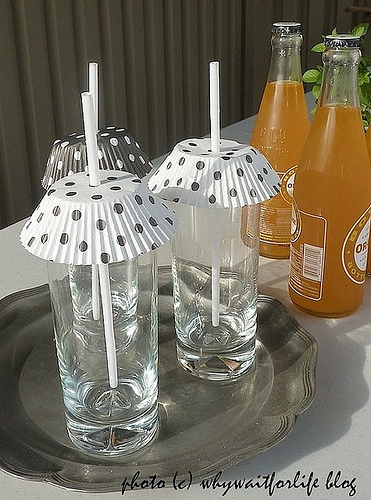 Here’s a clever solution using cupcake liners to keep the bugs out of your drinks. Do you have any “good to know” hacks and tricks? I’d love to hear about them. Our dogs give us unconditional love, affection, joy and sometimes surprises on the carpet (why never the floor I ask???). So I say, let’s give them and us some great products and services to make our lives more organized and fun! It’s really kinda crazy how much is out there for pets these days. 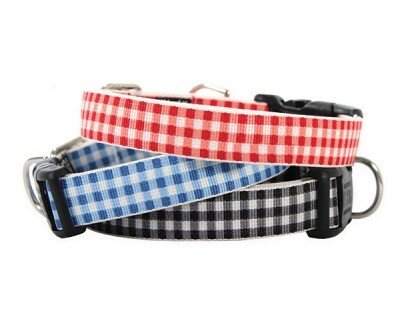 I’ve rounded up some of my faves that are certain to make your life as a pet owner simpler, easier and definitely more organized. WOOF, WOOF!!! 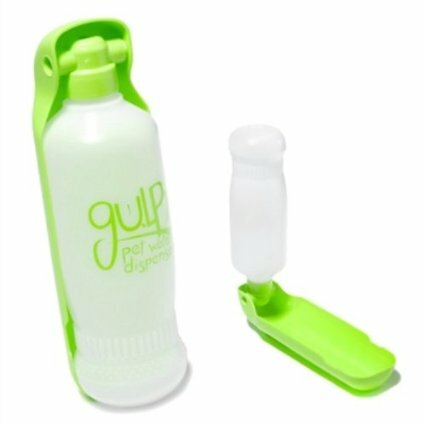 My sister uses the Gulpy for her golden retriever Sadie, and when I saw it in action, I knew I simply had to share this great solution for water on the go. No need to transfer water to a separate bowl, this all in one container is perfection in a bottle. 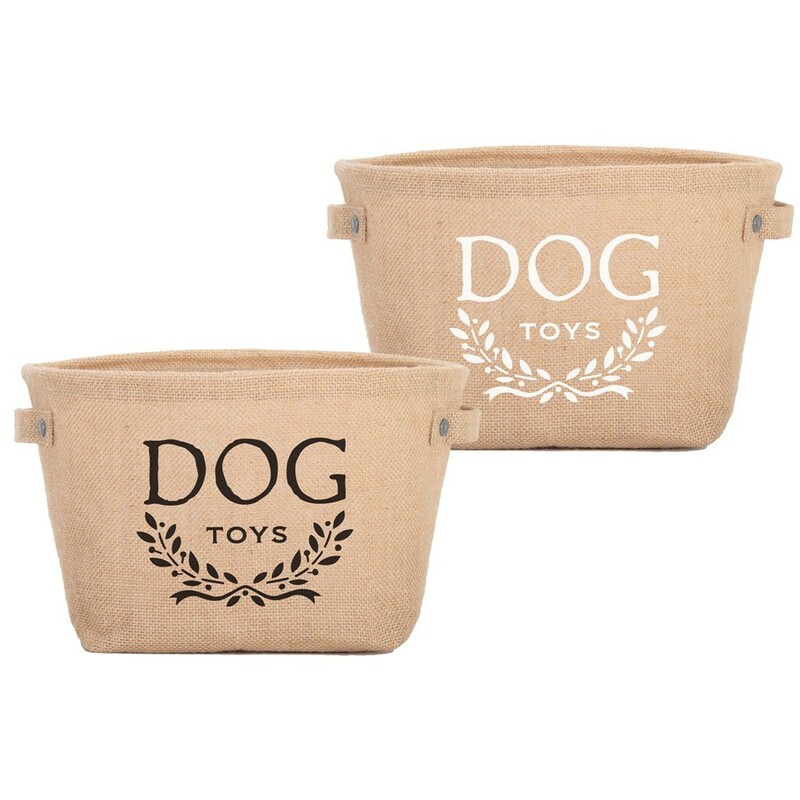 While we’re on the subject of travel containers, these Harry and Barker fold up dog bowls will make feeding your pooch easy peasy when away from home. 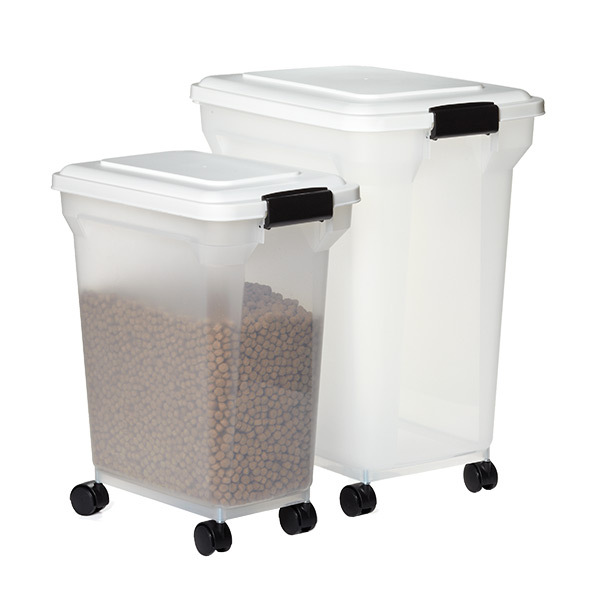 I found that the best way to keep kibble fresh and easy to access is by transferring it to a dog food storage container. Like kids, dogs have toys too and aren’t always so good about putting them away (HA!). 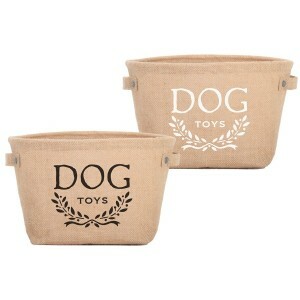 A nice looking basket is the perfect home for dog toys and bones. Ever wonder what your dog is doing when you’re not home? Wonder no longer with the wifi pet camera Petcube. Not only can you see if Fido is chewing on your Jimmy Choo’s or simply binge-watching Animal Planet. 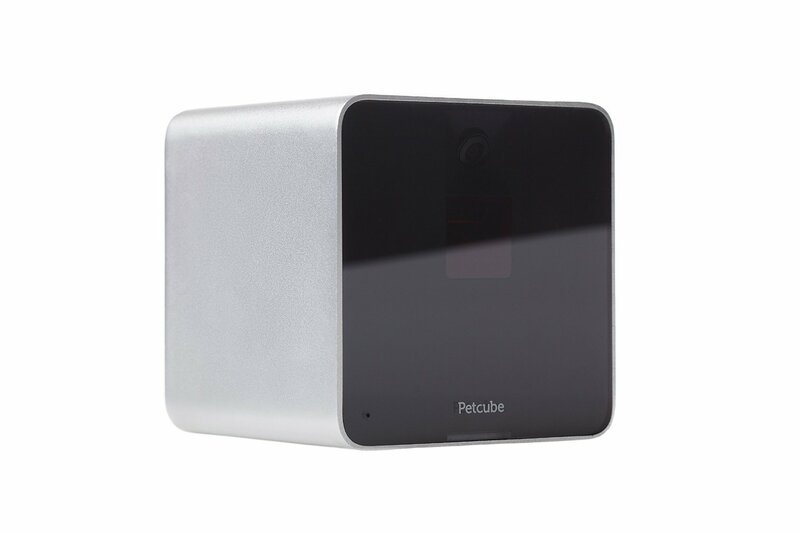 With the Petcube you can also share photos and videos of your furry children taken with the Petcube camera or watch, talk and play laser games with your pet through thePetcube mobile application. Probably a bit overkill for most of us, but hey, more options is always better, right? What to do with our pets when we travel is always a conundrum. I’m a big fan of having a dog sitter come and stay at the house. The dog doesn’t stress out and you also have someone watching and taking care of your home. Of course you need to feel comfortable with whomever you entrust to stay at your home. Because there is an Internet solution for everything these days, the website doggie vacay will help you find a dog sitter in your area. I’ve not actually perused their site in detail, so you’ll have to tell me if it’s really up to snuff or not. 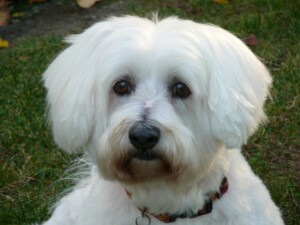 Sadly, my beloved Montana is now in doggie heaven and I miss her terribly. This post is dedicated to her and all the dogs we love and consider family. This post is dedicated to my friend Nicole, who is all about coffee. Even before she became the mother of identical twin boys, which in itself requires copious amounts of coffee, not to mention wine (she likes that too), Nicole was a supreme coffee aficionado. We’ve come a long way from the days of the Mr. Coffee machine and the likes of Yuban coffee (yuk), so I thought it was high time to delve into the world of coffee — how to organize your appliances, accessories, supplies, etc. 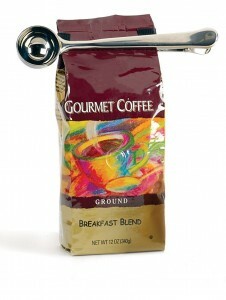 I even rounded up a few fun new products to add to the coffee fun. So make yourself a latte, relax and read on. Nowadays, the biggest challenge, if you have more than one coffee appliance, is where to store them. They can take up a lot of real estate on the kitchen counter, and let’s be honest, not all of us have a lot of extra counter space. While us coffee lovers dream of having a “coffee shrine” — a dedicated area exclusively for everything coffee, reality offers space for only one or perhaps two coffee machines on our kitchen counter. 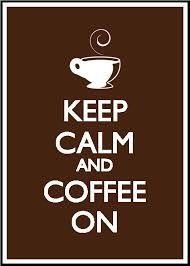 I suggest setting up a coffee zone. It doesn’t have to be elaborate or take up a lot of space. 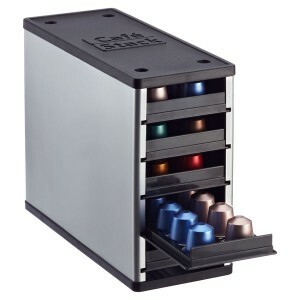 If you are lucky enough to have a drawer located below the counter where you house your coffee maker/s, use it to store your coffee filters, sugar, sweeteners, pods (if you have a Nespresso or Keurig), coffee measure, etc. 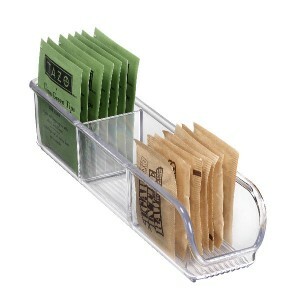 I found that these little organizers works great to keep sugar and sweeteners nice and tidy. 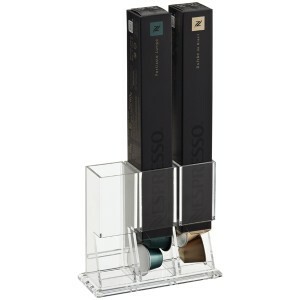 If you are using an upper cabinet to store your coffee supplies, you might want to check out this little container, which ironically is called a coffee station! It’s perfect to house filters, sweetener and stirrers. 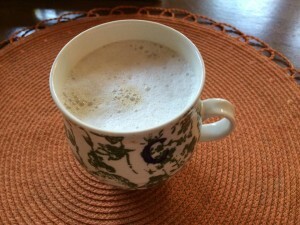 While visiting a friend a few months ago I discovered a great and inexpensive way to make a latte without having a fancy cappuccino machine. 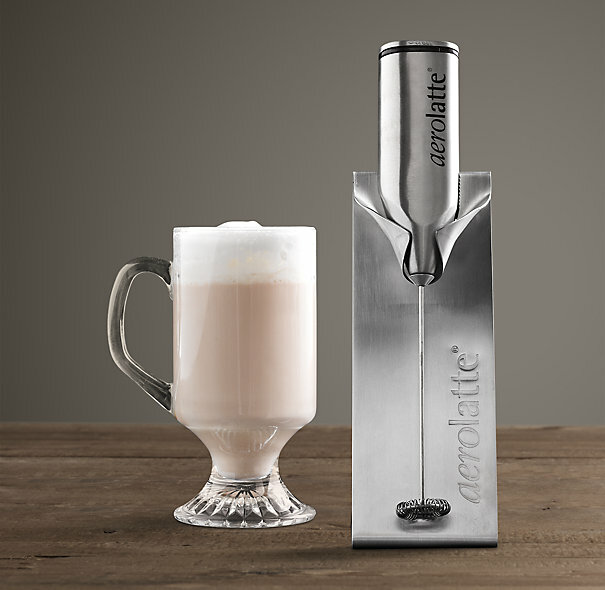 It’s a little electronic latte foamer. 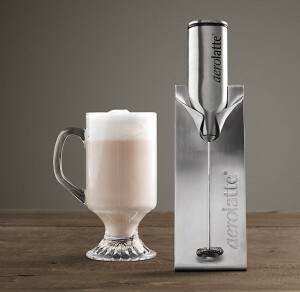 For about 20 bucks and a couple of batteries you are set to make a latte in 20 seconds or less! Simply heat your milk in the microwave, insert the latte foamer into your cup and foam away. You can store your latte foamer with your other coffee supplies or in your utensil drawer. 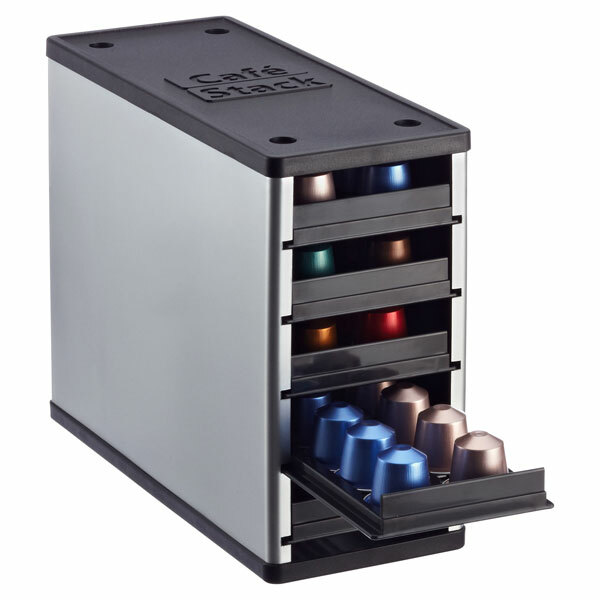 If you own a Keurig or Nespresso machine in addition to your regular coffee maker, you might be challenged on the best way to store the pods. I have a Keurig machine and just keep the pods in the box they come in. I open the boxes and keep them stacked in my pantry. I simply grab a pod when I need one, no muss, no fuss. As for storing various coffee appliances and apparatus, if you can dedicate a portion of a cabinet or area of your pantry, that will work best. 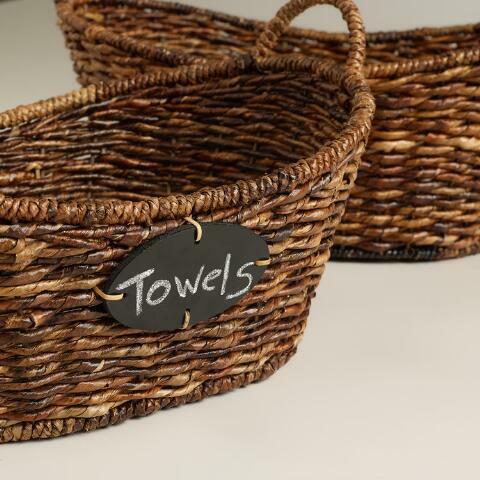 Keeping like items together, whether in the kitchen or elsewhere always make use and retrieval easier. For storing coffee itself, I have heard conflicting recommendations. Some say to store it in the freezer to keep it fresh, or the fridge. My recommendation is to keep it in a cool, dark place. 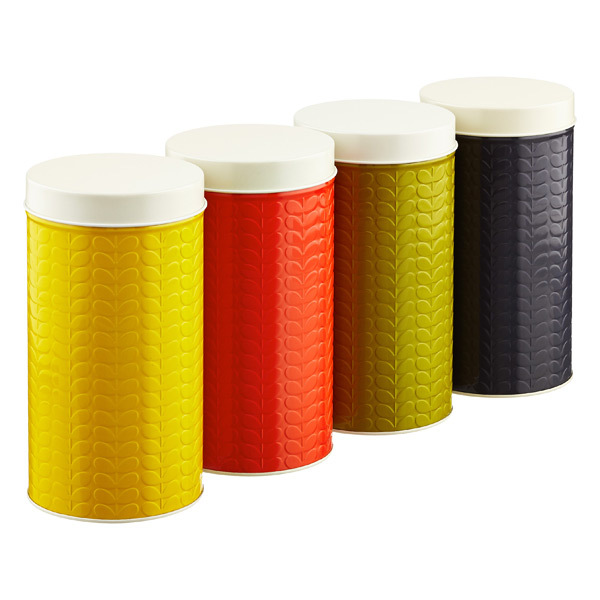 For everyday use, I keep my coffee in this Orly Kiely Canister and store extra coffee in my pantry. Sale at the The Container Store! Holy post it notes, The Container Store is having a nifty sale with up to 40% off lots of great stuff. You all know what a fan I am of the Container Store. I mean really, what Organizer wouldn’t be. It’s simply not allowed! I’ve rounded up some of my favorite picks from this sale. While it’s only a smattering, take a gander online yourself and see what else is on your must have list. I’ve been singing the praises of huggable hangers for years. While you can certainly buy knock-off versions, the quality is just not there. 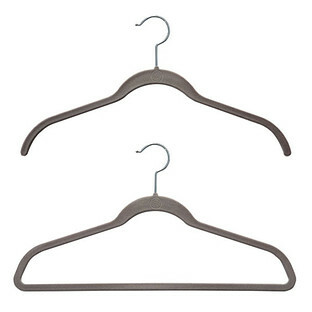 Regularly $9.99 for 10 hangers, you can now scoop them up at $6.99 for 10. If you’re anything like me you like your leftovers. With all the hubbub these days about those nasty chemicals found in most plastic tupperware containers, BPH free containers are now widely available. 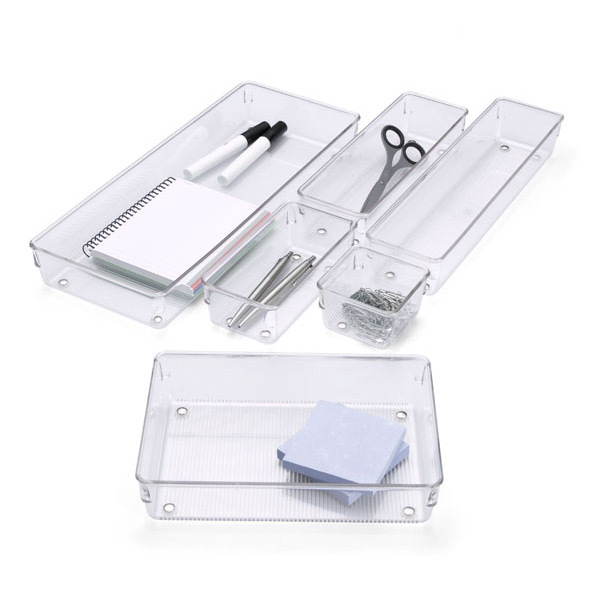 I like the shape of these Square Release containers. 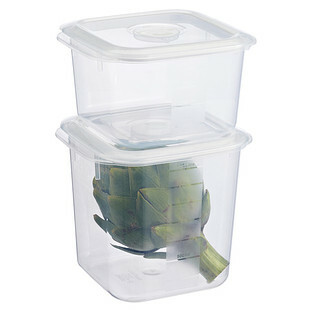 They will take up less space in your fridge while allowing you to store a large size portion in each container. Are you hosting guests in your home this summer? 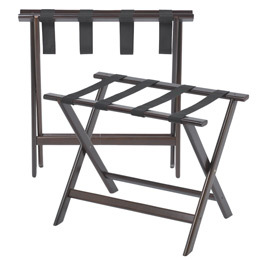 Avoid having those dirty suitcases thrust upon your lovely guest room bedding by offering an hotel amenity — a hardwood luggage rack. Such a simple idea and yet such a great solution. Don’t forget the mints on the pillow and water on the nightstand. While many of our devices are wireless these days, we still have some degree of pesky cords to deal with, especially around the TV area. 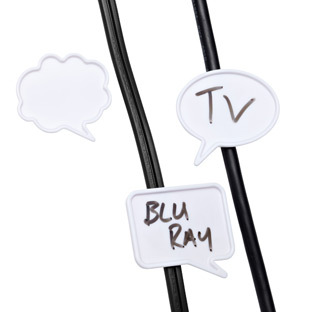 I think these Talk Bubble Cord Clips are just too cute, yet of course very functional. Just be sure to hide them from view once affixed to your cords. 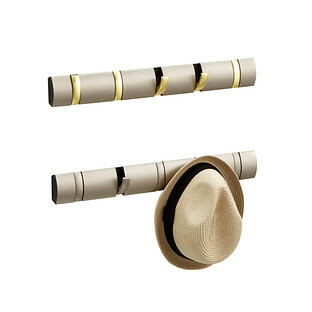 Here’s an ingenious way to store hats, umbrellas, jackets or even necklaces. I have not seen this Nickel 5-Hook Flip Rack in person or tried it myself, but it is highly-rated and I’m guessing a nifty little product. Last, but certainly not least, being the shopping maven that I am, I was thrilled to see this Post It Shopping Organizer among the sale offerings. 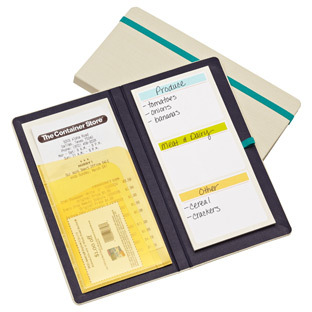 At last, a way to containerize your coupons, rewards cards and shopping list all in one place. Add to my cart immediately!! 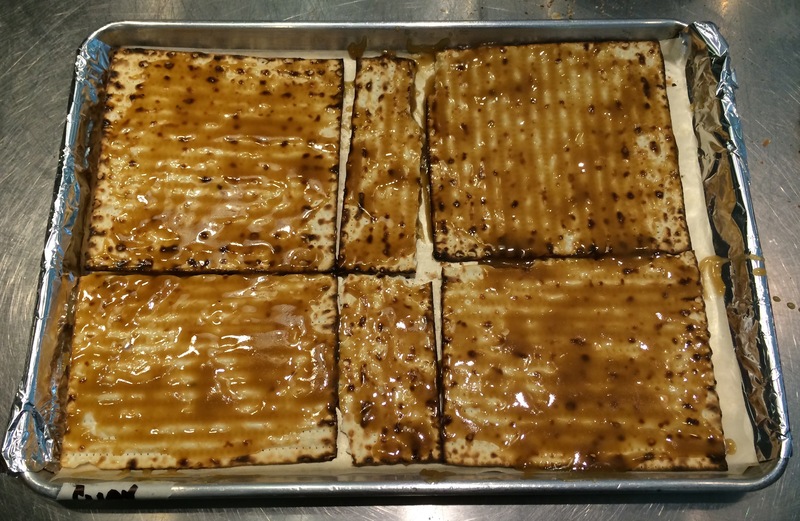 This is a Passover treat sure to please and could quite possibly become an annual tradition. So yummy and so easy to make. Last week I took a Passover Desserts class at The Gourmandise School in Santa Monica. We made a total of four desserts and all were fantastic. Let me know if you’d like the other recipes (flour less chocolate cake, almond & lemon cake and macaroons with a chocolate center). 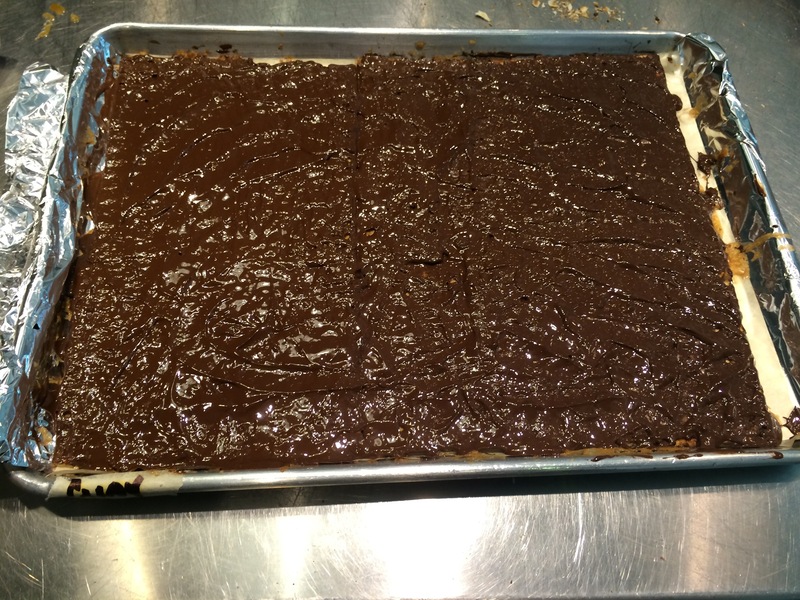 1/ Line a rimmed baking sheet (11 x 17) completely with foil, making sure the foil goes up & over the edges. 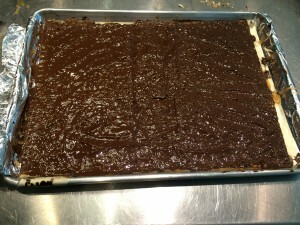 Cover the foil with a sheet of parchment paper. Preheat oven to 375F. 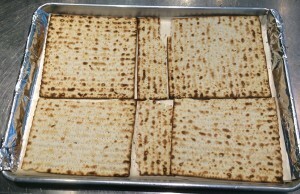 2/ Line the bottom of the sheet with matzoh, breaking extra pieces as necessary to fill in any spaces. 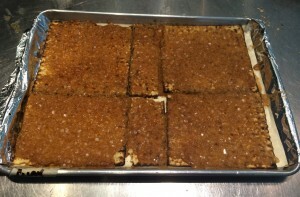 3/In a saucepan, melt the butter and brown sugar together, and cook over medium heat, stirring, until the butter is melted and mixture is beginning to boil. Boil for 3 minutes, stirring constantly. 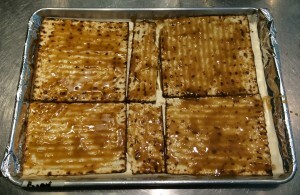 Remove from heat, add the salt and pour over matzoh, spreading with a heatproof spatula. 4/ Put the pan in the oven and reduce heat to 350F degrees. Bake for 15 minutes. As it bakes, it will bubble up but make sure it’s not burning every once in awhile. 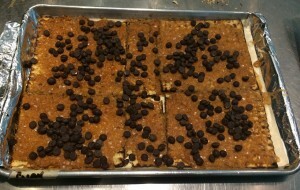 If it is in spots, remove from oven and immediately cover with chocolate. Let stand 5 minutes, then spread with an offset spatula. 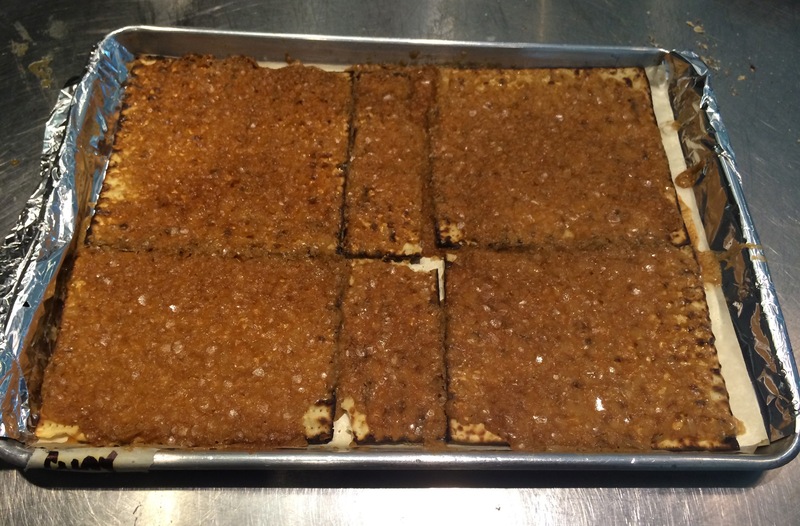 6/If you wish, sprinkle with toasted almonds or my personal favorite, hazelnuts. Let cool completely and then refrigerate for an hour or so. 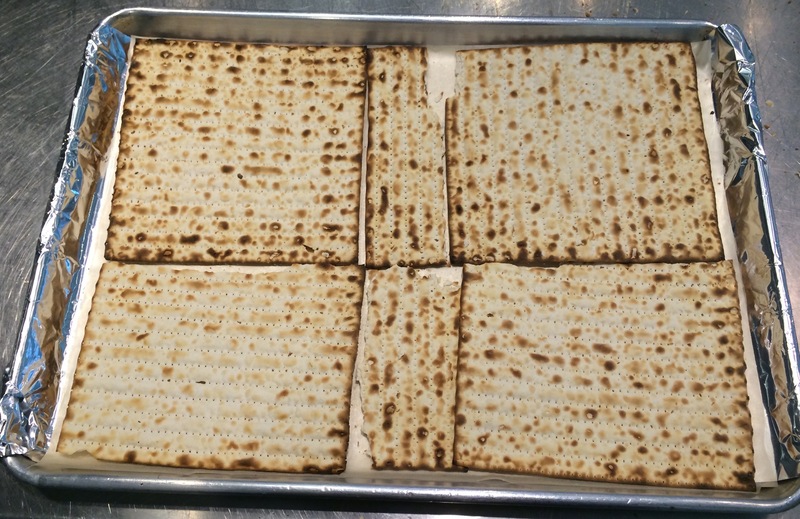 Break the matzoh into pieces and store in an airtight container until ready to serve. It should keep well for about one week. Spring has officially sprung. While we didn’t have much of a winter here in L.A., there are small hints of a new season. 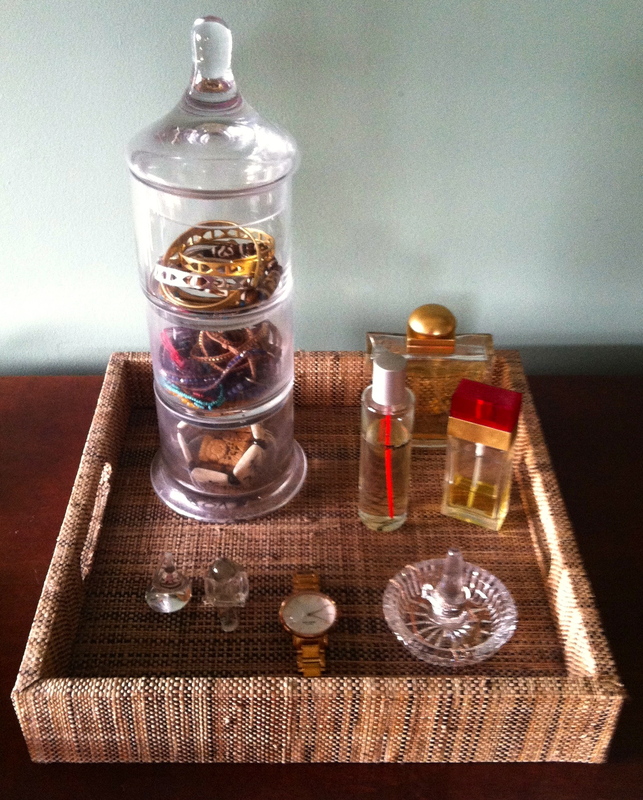 The longer days, gardens starting to bloom, and the promise of many more warmer days ahead, it’s a good time to embrace the annual ritual of Spring cleaning organizing. Here are 5 quick Spring Organizing tips. Even if you only have a few regular subscriptions, magazines can pile up like nobody’s business. 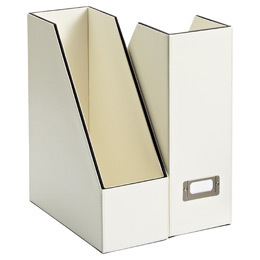 For issues that you wish to keep (I recommend keeping only for one year, then either cut out articles you want, and/or recycle), magazine caddies are the perfect solutions. They stand up nicely on a bookshelf and can be easily labeled. We all hate those pesky moth holes that seem to suddenly appear on our favorite cashmere sweater. 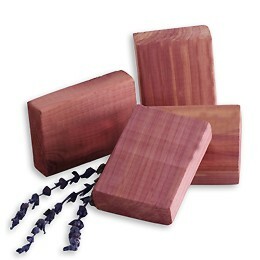 Protect your clothing with cedar chips. Simply place them in-between folded sweaters. 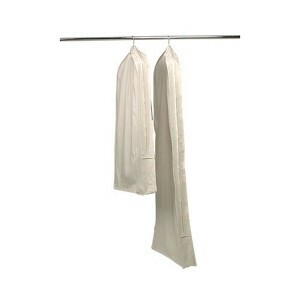 Try this hanging version for cardigans and wool jackets. It’s no wonder some of us have shoulder pain. The sheer weight of our handbags keeps many a Chiropractor in business! 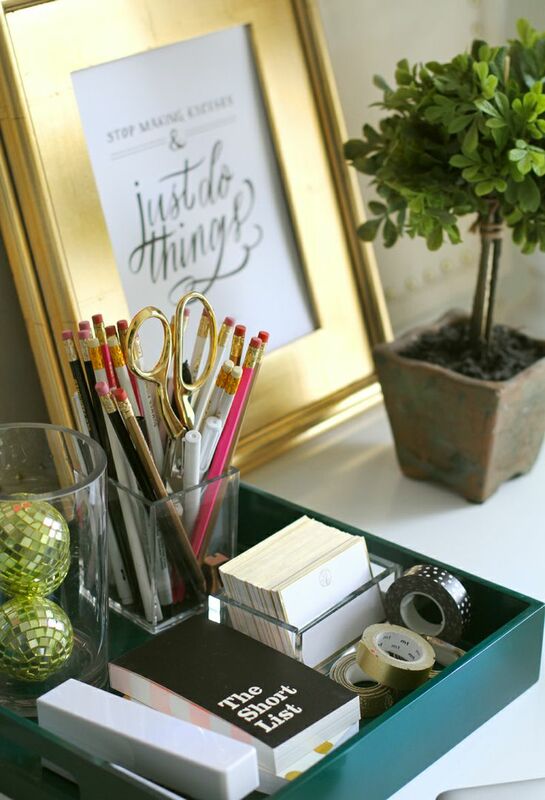 So, let’s clean out some of that excess clutter. You know what I’m talking about — loose change, receipts, 25 lipsticks (just kidding), expired credit cards, etc. Think about what you really need to have in your wallet and/or purse and try to pare down to save your body. While you’re at it, maybe you’ll treat yourself to a new wallet or handbag. A new season is a great opportunity excuse to splurge! My darling husband got me this great cross body bag for my birthday yesterday. While we don’t really have seasonal wardrobes here in Cali, there are some items that definitely fall into the Fall/Winter category, versus the Spring/Summer category. If you’re like me and don’t have a particularly large master closet, you might want to swap out the winter wear for the spring/summer wear, storing the off-season items in another closet. Check to see which spring/summer items may have lost their luster. White tees and tops come to mind. Over time these will yellow. Check your sandals as well for wear and tear. I love a good deal and definitely have my share of coupons, rewards cards and email discount offers. It’s easy to lose track of all these offers, especially since some are on our phones/computers, versus those we get the in the mail or clip from the daily papers. I use a couple of different systems. For “paper” type coupons, e.g., Bed, Bath n’Beyond, grocery stores, postcard offers, I keep them in the slot next to my seat in the car. That way, when I’m out and about they are always available. 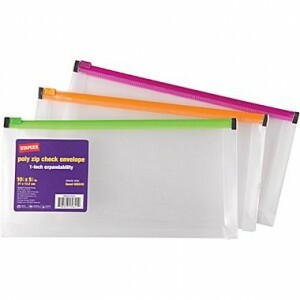 I have a colored plastic envelope which helps to corral these guys. For email offers, I tend to keep them on my phone (to save printing them) and simply show the coupon to the salesclerk. Well, I hope these suggestions inspire you to do a little Spring organizing. Have a great weekend. 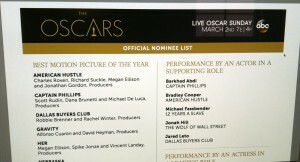 The Academy Awards are just days away. Will you be watching? Or maybe going to party? I never miss the show, even if it can drag on a bit. Isn’t it all about the gowns anyways! We have what has become a pretty annual Oscar night tradition. We get together with another couple and trade off viewing the big event at one of our homes. 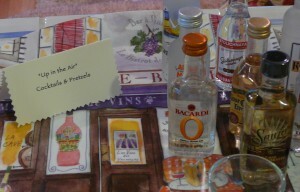 We like that our little party is small, yet festive. 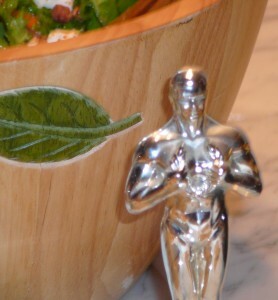 One of our traditions at this little soiree is to theme the food we prepare to the nominated movies. This was pretty simple when there were only five movies, as all the courses were pretty much covered. If I say so myself we were pretty creative with our dishes and paired them quite well to the movies. Now that there can be up to 10 nominated films, our task has become more challenging, yet also ripe with choices. Clearly we aren’t going to have a 10-course meal, so this year we’ll choose a signature drink, an appetizer, salad, main course, veggie dish or two and a dessert. Last week my friend Avis and I met over lunch to develop our menu. 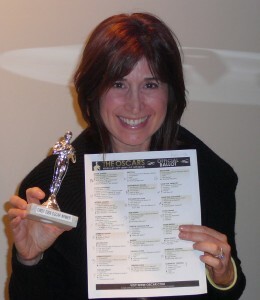 She found a website that seems to have stolen our idea and developed their own themed Oscar menus, only they take it a step further and offer full menus for each nominated movie. We thought, what the heck, let’s try some of these themed recipes this year. 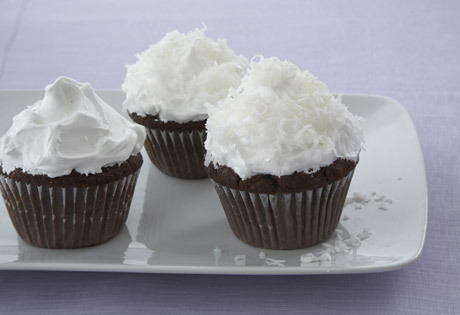 To give you a little sneak peek, our dessert will be Chocolate-Almond Cupcakes with Fluffy Coconut Frosting, representing the movie HER. After all, isn’t dessert the most important part of the meal? 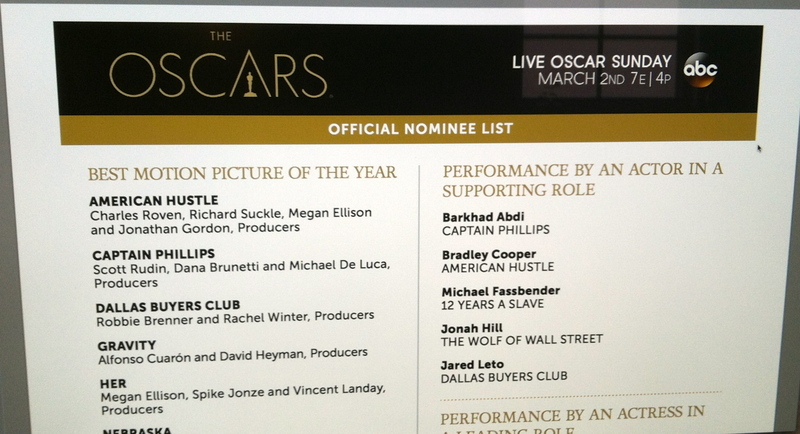 No Oscar night would be complete without a little competition. PDF’s of the official ballot are available online. We make our selections prior to the show’s start, write our names on our individual ballots and then, to keep things honest, we trade ballots and score as each award is presented. The prize is just a little statue that the winner gets to keep for the next year, of course immediately labeled with the winner’s name and the year. I can’t recall who won last year; I think it was a tie. Prior to 2013 I might have won a few years in a row. I’m just a tad competitive! Perhaps I can reprise another victory this Sunday. 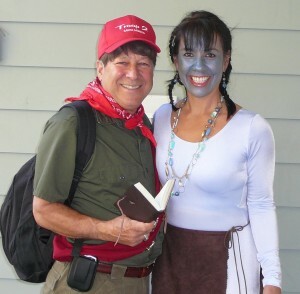 If you really want to shake things up choose a character from one of the nominated films and come in costume. Our friends had us laughing hysterically when we answered our door in 2010. David didn’t realize (at first) that his friend was a character from the movie UP, but instead thought he was a neighborhood Boy Scout!! Something tells me we will be doing the American Hustle this year. Whether your Oscar party is small or large, prepare and organize ahead so you can enjoy the festivities. 6/ Get your costume ready! 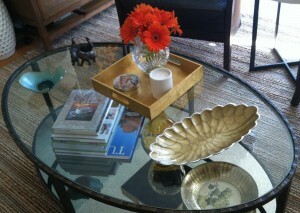 The past few years trays have become all the rage on the decorating front. 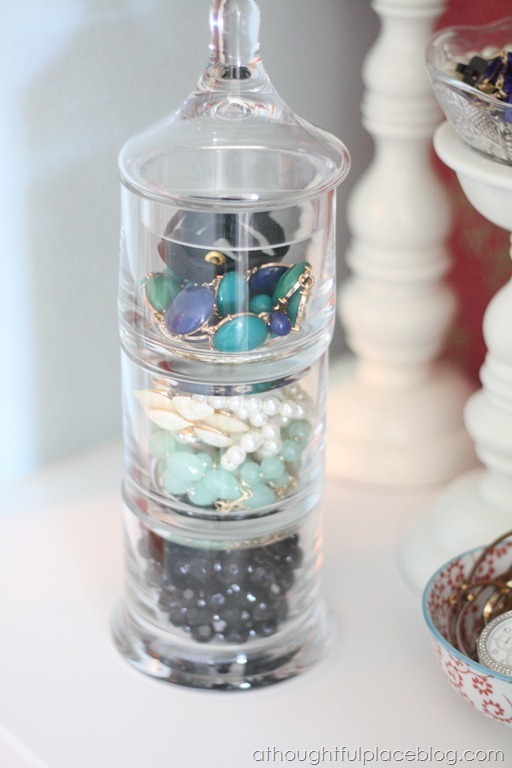 Not only do they add a nice aesthetic to a table, they are a great organizational tool. 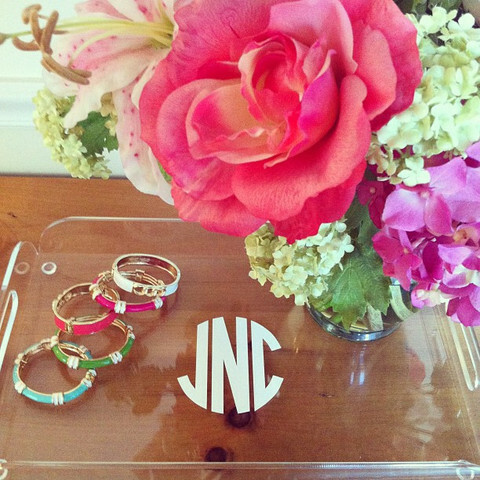 Trays can be used in so many rooms and in so many ways, from the home office to the bedroom. You change them up whenever you need a change of scenery or simply switch out elements by season. 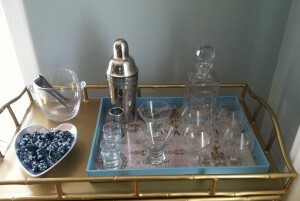 Some of my favorites are the lacquer trays from West Elm. 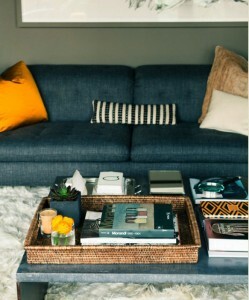 The woven version is depicted in my bedroom photo above. I also have one on my kitchen table. The monogrammed acrylic tray from Design Darling pictured above would be a great gift. For a larger table or ottoman style coffee table, you might like this oversize wooden ottoman tray from Pier One. 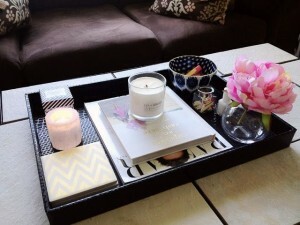 If white is more your speed, check out these from cb2 and Jonathan Adler via Design Darling. 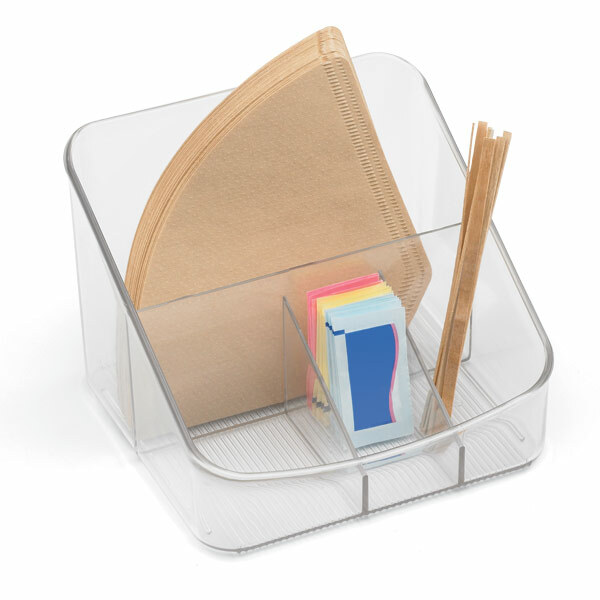 Perhaps you’d like to add another layer of organization to your tray. An ingenious idea I adapted from Courtney at A Thoughtful Place, these stacked apothecary jars from West Elm are perfect for bracelets. You can see my version in the first photo from my bedroom. 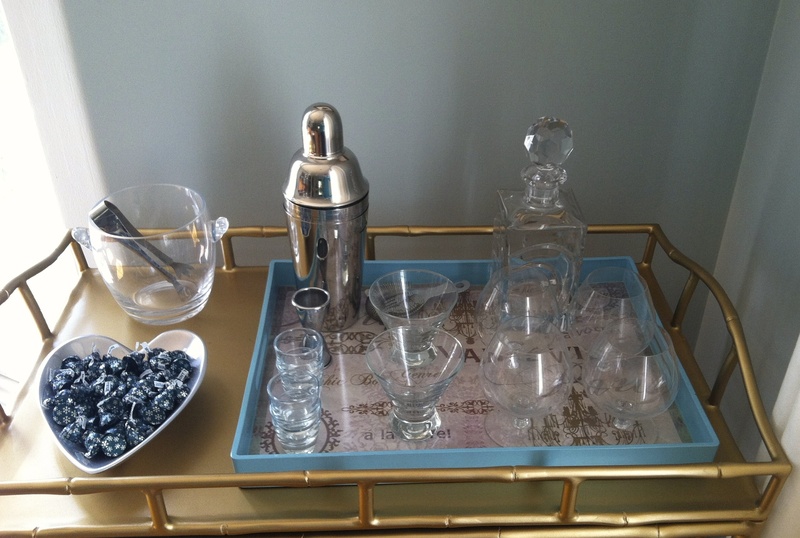 Have you tried trays yet? I’d love to see how you’ve styled and organized yours so send me your pics!! I’m sure you’ll be tray chic in no time. Valentine’s Day is one of those holidays that most people either love or hate. I guess I’m somewhere in the middle. While the sentiment is certainly nice, it’s hard not to be bombarded by all the retail hype and built-up expectations for the most perfect celebration. I choose to ignore all that silliness and instead focus on what’s really important, the CHOCOLATE!! 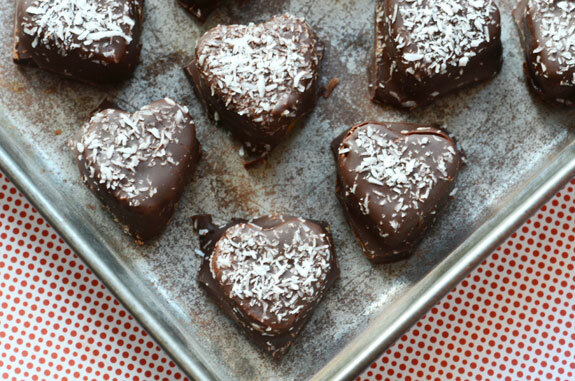 As you might imagine, the Internet is flooded with recipes for Valentine treats. 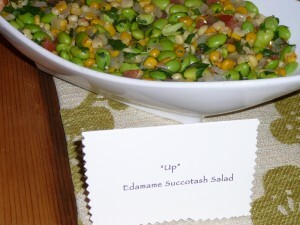 Several of my favorite food bloggers have posted some mouth watering options. Perhaps you’ll don your apron and meet me in the kitchen this week to bake up some treats for the special people in your life. One of the best food blogs I follow is Joy the Baker. 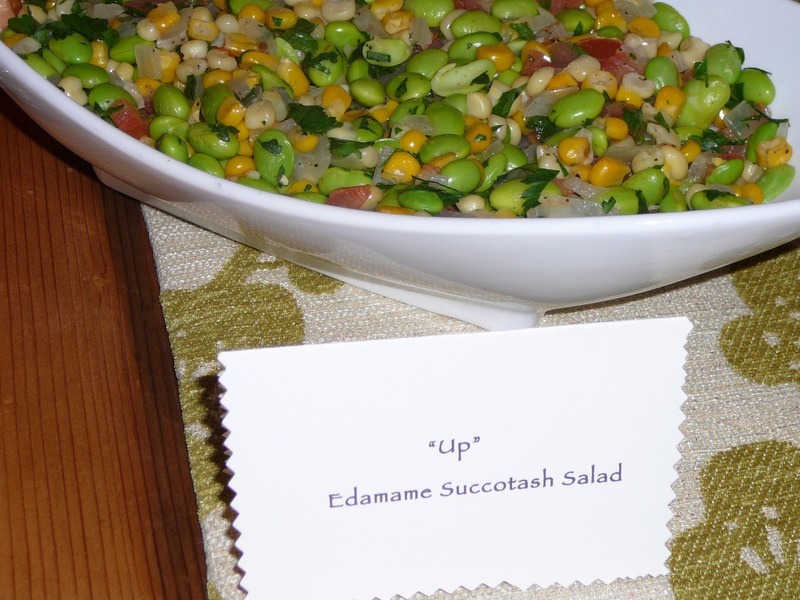 Not only are her recipes divine, her writing style is equal parts funny and touching. 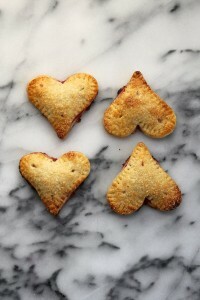 If you like pie, you might want to whip up a batch of these lemon raspberry pie crusts hearts. Adorable and though not of the chocolate variety, I’m sure they are pretty darn tasty. 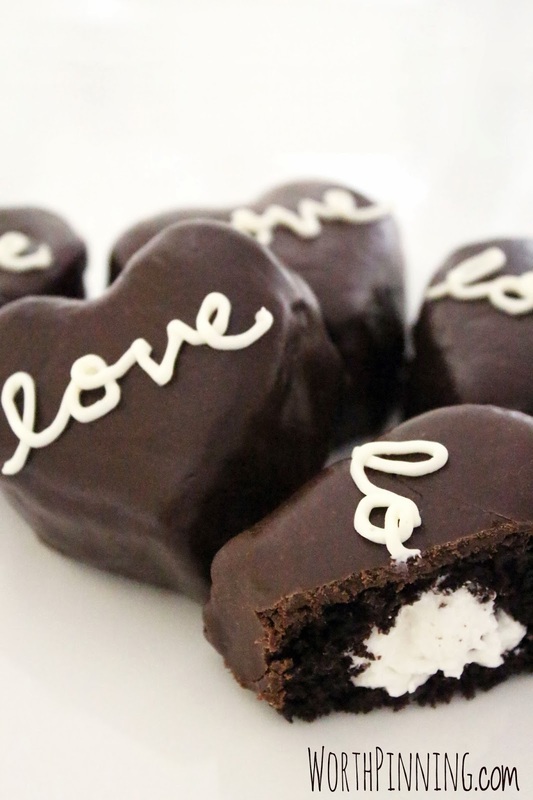 Here’s a fun twist on an old favorite from our childhood, Valentine inspired cream-filled chocolate heart shaped ‘ding dongs’. 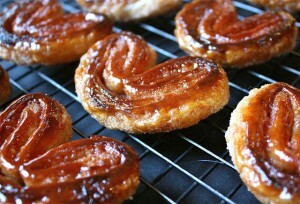 I can practically taste these darlings right now. 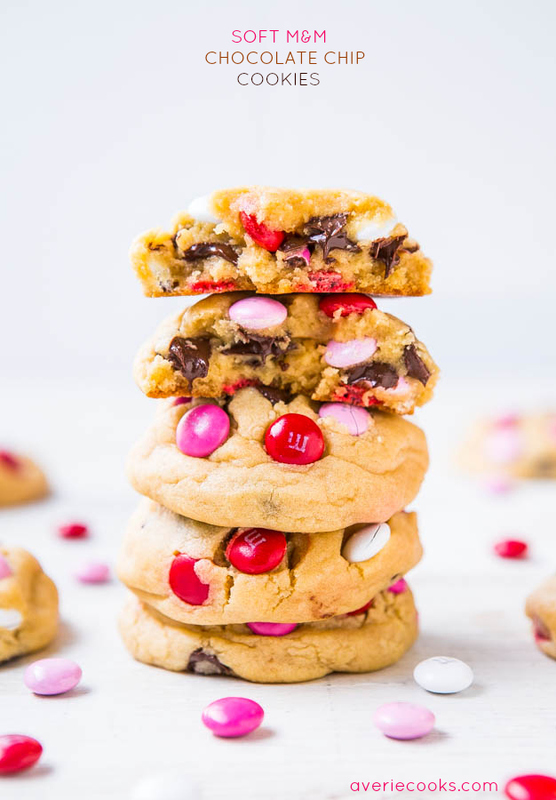 On a more traditional note and always a favorite, good old fashioned soft M&M chocolate chip cookies, I’m sure a batch will be coming out of my oven this week. When I first started this blog, one of my earliest posts was a recipe from Sheri Silver, of donuts, dresses and dirt. 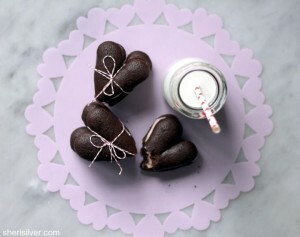 Never one to disappoint, Sheri’s contribution to Valentine’s Day are these heart shaped whoopee pies. I say whoopee and yummy!! Chocolate hazelnut linzer heart cookies look too good to pass up. 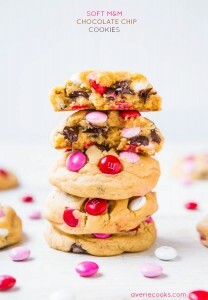 Leave it to Deb Perelman at Smitten Kitchen to come up with a gorgeous Valentine cookie to get us all drooling. If you’re looking for a gluten-free option, or just something incorporating fruit, these frozen banana bites from Elana’s Pantry will certainly satisfy. Last, but not least is a lighter treat from my good friend and food blogger, Lorie Hopcus at Savory Nest. 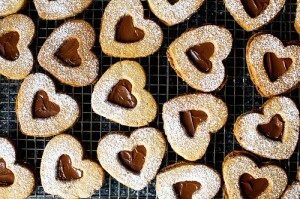 Last Valentine’s Day Lorie posted these scrumptious heart-shaped Palmier cookies. So delicate and light, the perfect accompaniment to a latte or cappuccino.